On this website I introduce myself as a single candidate for the election as a student for the senate of 03-05.12.2018 at the Leuphana University Lüneburg. I explain my goals and the petition I have started. 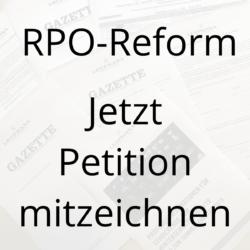 For the achievement of the goals I am pleased if you co-sign the petition and give me your vote from 03-05.12.2018 at the election. each at the polling station in the Mensa, Universitätsallee 1, 21335 Lüneburg. 1. Registration and cancellation of all examinations five working days before the examination. 2. Introduction of a „fourth attempt“ – After three failed examinations there should be the possibility of a „fourth attempt“, which takes place in a different examination form. 3. Each examination will be offered each semester even without the corresponding lecture. 4. Acceptance of the „yellow certificate“ as a sick note for examinations – no more detailed certificates. To 1) The current framework examination regulations (RPO) oblige students to register one month after the start of lectures for the examinations to be taken in the semester and for the date (first or second examination phase). Years ago this was different at the Leuphana, where students could register up to five working days before the date. Our suggestion is to stick to the concept, so that you can register and deregister from the exam up to five working days without any reason. The examination form „Combined Scientific Work“ is a special form as it is firmly linked to the teaching and learning concept of the course. Our suggestion here is to keep the registration modalities. A resignation should be possible until 60 days after the beginning of the lecture. To 2) At many universities the three-attempts-system applies, in former times Leuphana used the bonus-malus-points-system, which included about 12 failed attempts in total. Some universities have made arrangements to take an oral examination as a „fourth attempt“ after failing a third attempt. The Leuphana should also introduce such a „fourth attempt“, whereby another form of examination should also be possible. If, for example, an examination takes place regularly, an oral examination, presentation, portfolio examination, term paper or other form of examination should be offered. The consequences of exmatriculation due to a failed exam are hard on students and can lead to health problems such as depression. In addition, the community incurs high costs if students fail a module after several semesters of study, even though the end of the study is almost reached. 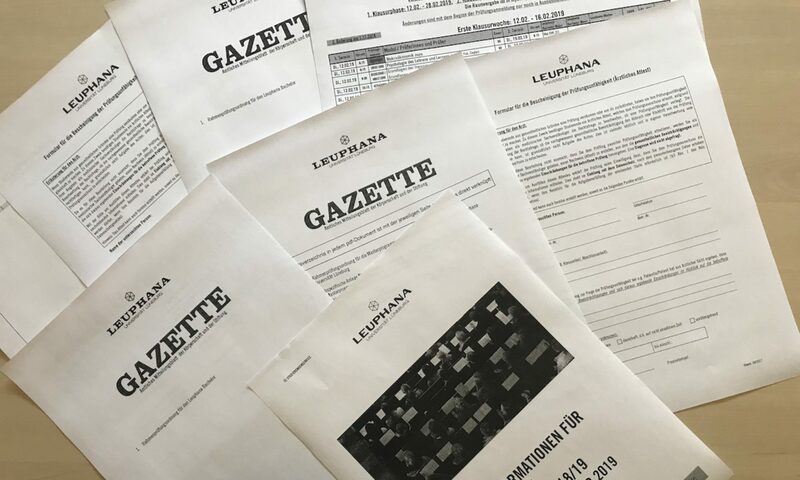 To 3) The concept of Leuphana provides for many courses only on an annual basis. Students who have not passed the module in one semester have to wait a year until the examination is offered again. This often leads to extensions of study periods which are uneconomical. If in future examinations or other examination achievements are offered every semester, this is particularly advantageous for modules with a high number of students. Thus, students are offered two dates for an examination or examination performance each semester. To 4) In the case of sick leave during an examination, Leuphana requires a medical certificate. This certificate is a private medical service and is often charged 10-30 Euro by the doctor. It also constitutes an invasion of privacy, as the health impairment must be certified in writing. Employees present their employer with a „certificate of incapacity for work“, which is a health insurance benefit and free of charge. This does not contain diagnoses and impairments, but only date and estimated duration of the inability to work. This should also be sufficient for the Leuphana to determine the incapacity for examination.